Book; Literary form: not fiction | 2017 | TV-SerieAvailability: Items available for loan: SB Hennef [Call number: DVD TV-Serie] (1). by Strack, Günter [Darst.] | Quadflieg, Christian [Darst.] | Habich, Matthias [Darst.] | Umgelter, Fritz [Regie]. Visual material | 2008 | DVD-Video | DVD | TV-SerieAvailability: Items available for loan: SB Hennef [Call number: DVD] (1). by Bäumer, Marie [Darst.] | Ferch, Heino [Darst.] | Preuß, Josefine [Darst.] | Edel, Uli [Regie]. 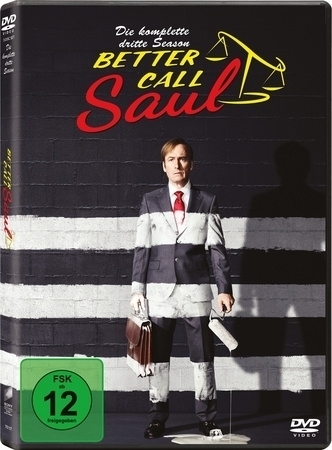 Visual material | 2012 | DVD-Video | DVD | TV-SerieAvailability: Items available for loan: SB Hennef [Call number: DVD] (1). by Ofczarek, Nicholas [Darst.] | Melles, Sunnyi [Darst.] | Kier, Udo [Darst.]. Visual material | 2015 | DVD-Video | DVD | TV-SerieAvailability: Items available for loan: SB Hennef [Call number: DVD TV-Serie] (1). by Browning, Emily [Darst.] | McShane, Ian [Darst.] | Whittle, Ricky [Darst.]. Visual material | 2017 | DVD-Video | DVD | TV-SerieAvailability: Items available for loan: SB Hennef [Call number: DVD TV-Serie] (1). Visual material | 2017 | TV-SerieSeries: American Horror Story 7.Availability: Items available for loan: SB Hennef [Call number: DVD TV-Serie] (1). Visual material | 2017 | DVD-Video | DVD | TV-SerieAvailability: No items available Checked out (1). Visual material | 2016 | DVD-Video | DVD | TV-SerieAvailability: No items available Checked out (1). by Cuoco-Sweeting, Kaley [Darst.] | Parsons, Jim [Darst.] | Galecki, Johnny [Darst.]. Visual material | 2015 | DVD-Video | DVD | TV-SerieAvailability: No items available Checked out (1). by Helberg, Simon [Darst.] | Cuoco, Kaley [Darst.] | Parsons, Jim [Darst.] | Lorre, Chuck [Regie]. 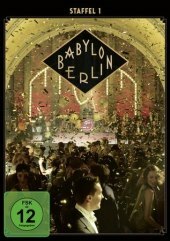 Visual material | 2010 | DVD-Video | DVD | TV-SerieAvailability: Items available for loan: SB Hennef [Call number: DVD] (1). Visual material | 2018 | TV-SerieAvailability: No items available Checked out (1). Visual material | 2012 | TV-SerieSeries: The big bang Theory 5.Availability: Items available for loan: SB Hennef [Call number: DVD TV-Serie] (1). by Cuoco, Kaley [Darst.] | Parsons, Jim [Darst.] | Galecki, Johnny [Darst.] | Cendrowski, Mark [Regie]. Visual material | 2013 | DVD-Video | DVD | TV-SerieAvailability: No items available Checked out (1).